Levenshulme M19 Deep Rug & Carpet Cleaning Company | Quality Property Care Ltd.
You can get in touch with us at 0161 823 0325 where our crew eagerly awaits your call. Get in touch with our professional company and learn more about some other advantages of the service as well as how you can save money and time with Quality Property Care Ltd. commercial and domestic rug and carpet cleaning service in Levenshulme M19. Steam carpet cleaning: hot water extraction method with deep action. 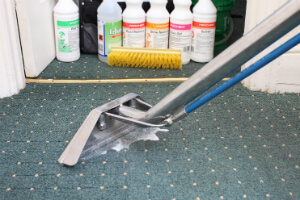 The procedure is ideal for old carpets and synthetic. Dry carpet cleaning is a dry foam carpet cleaning treatment that uses no liquids and stops delicate carpets from tearing and wasting. Quality Property Care Ltd. offers deep carpet cleaning to remove all residue, stains, dirt and allergens and to eliminate all the germs in your carpets and rugs. The professional rug and carpet cleaning is done by: hoovering, followed by highly efficient hot water extraction and stream carpet cleaning which takes away all excess water from the carpet or rug. For precious rugs or rugs which can not be cleaned with water, the firm offers dry foam cleaning and rug cleaning to safely eliminate the dirt and recover the charm of your rugs. The expert services offered are ideal for commercial and domestic houses too. The company Quality Property Care Ltd. also can offer you professional mattress cleaning, bed bug mattress treatment, curtain cleaning, blinds cleaning and drapery cleaning . Actually, if you book a merged cleaning service, such as deep carpet cleaning plus mattress cleaning, you will get a big discount from the selling price of the service. So, go ahead and ask for that totally free quote or book your combined cleaning service now! The company constantly invests a lot of resources into purchasing the most efficient, latest and safest carpet cleaning technologies. The cleaners are also regularly being coached to properly and safely use them, and to deal with a variety of stains and materials. 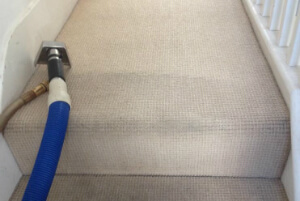 If you are in Levenshulme M19 or the region and you demand professional commercial or residential carpet and rug cleaning, mattress cleaning, bed bug mattress treatment, blinds cleaning, curtain cleaning, drapery cleaning, or a combination of Two or more of these services, all you need to do is call the customer care service at this number 0161 823 0325 or complete and send the online booking form, and you will have written verification via e-mail and sms as soon as possible! Same day booking is possible, as well as booking on bank holidays and weekends without any price raise. Book your professional carpet and rug cleaning service today!